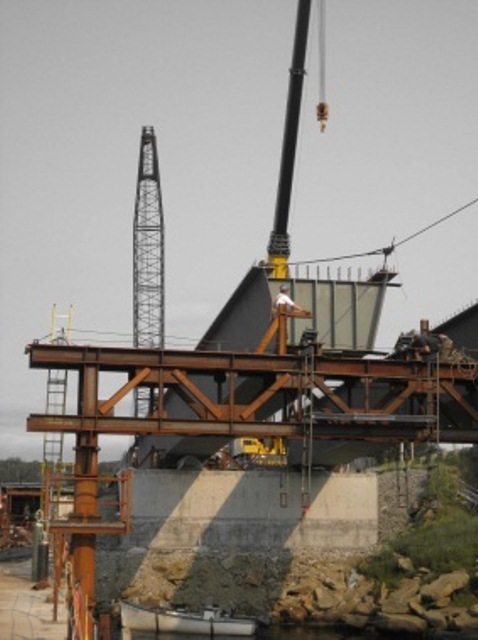 The Little Bras d’Or Bridge, located on Highway 105 in Cape Breton County, is a two span, 120 meter long (60m – 60 m), twin trapezoidal steel box girder bridge spanning over St. Andrew’s Channel. 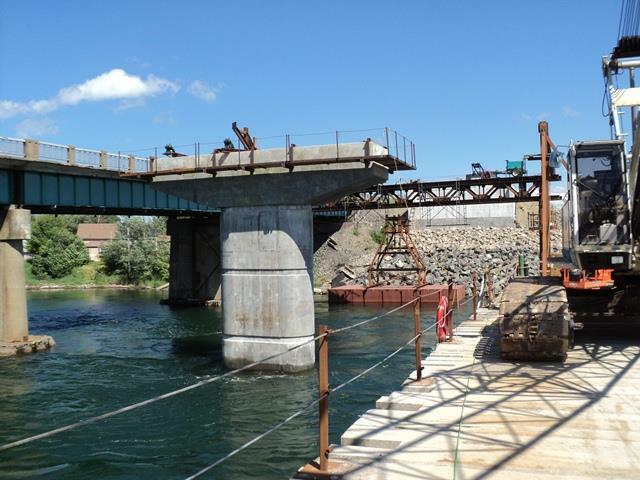 The bridge is supported on semi-integral piled abutments and a deep water reinforced concrete hammer-head pier supported on a rock anchored spread footing founded on bedrock. The new bridge replaces an old deteriorated structure on a critical stretch of highway for local tourism and represents the only non-load rated link to the Newfoundland Ferry in North Sydney. 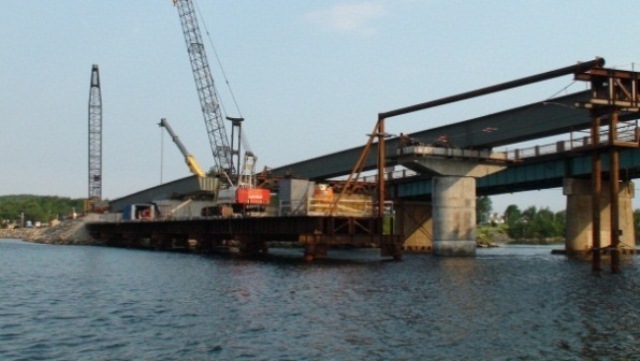 HEC provided the detailed design of the new bridge as well as construction engineering services for the steel fabricator/erector (girder launch) and general contractor (deep water cofferdam and pier access trestle).